Treating someone with love regardless of how you feel about them is a great principle for families and friends, and it works equally well in the business environment. In this 7-part course, Joel Manby, President and Chief Executive Officer of SeaWorld Parks & Entertainment, recounts his own triumphs and failures and shares the lessons that have taught him to lead with love. 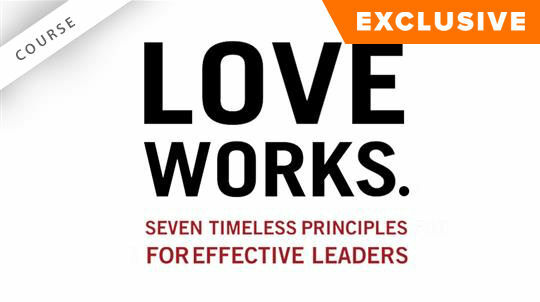 Joel uses 1 Corinthians 13 to develop seven timeless principles for effective leaders. 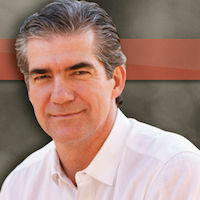 Joel Manby is the former President and Chief Executive Officer of SeaWorld Parks & Entertainment. From 2003 to 2015, he served as the President and Chief Executive Officer of Herschend Enterprises, the largest family-owned theme park and entertainment company in the United States. Manby has incorporated the definition of love, the verb, into the companies existing organic culture to establish how leaders are to behave. He views love as a mode of thinking-one that has helped him deliver tangible results and positioned HFE as the 9th largest themed attractions company in the world. An expert on leadership and customer relations, he spent 20 years in the auto industry. Joel was a member of the start-up team for Saturn Corporation where he was instrumental in launching Saturn's innovative marketing and distribution strategy. After seven years with Saturn and a two-year term with GM's International Division, he was promoted to CEO of Saab Automobile USA. During his four-year tenure at Saab, he led the company to dramatic results as sales increased by 67 percent and their J.D. Power Quality Rating improved from 30th to fifth in the industry. Joel received an M.B.A. from Harvard Business School and a B.S. from Albion College. He serves on the board of directors of Popeye's Louisiana Kitchen, Inc., and as a member of the National Advisory Board of The Salvation Army. He also chairs reThink, a non-profit company whose mission is to provide effective tools which enable families to learn biblical virtues in the home, school and church. In March 2010, he was featured on the hit CBS show Undercover Boss. Manby and the employees of HFE moved millions of viewers across the world with their unique approach to leadership. He now shares the principles in his book, Love Works. Joel and his wife, Marki have four daughters.